CuriOdyssey houses nearly 100 animals – from golden eagles to rubber boas – which help environmental concepts come alive for Bay Area children and adults. All of our animals are non-releasable, meaning they have been injured or imprinted and would not survive if returned to their natural habitats. Once they are at CuriOdyssey, we care for them for the rest of their lives. Most of our animals are native to California, although we do house some non-native animals in our Animal Ambassadors program. All of our animals reinforce CuriOdyssey's mission to educate and inspire people to take care of the earth by taking center stage in our wildlife exhibits, school-based programs, and public programs. Many of our animals live in our naturalistic wildlife exhibits, through which visitors can wander. The exhibits include a 4,000-square-foot walk-through aviary, which houses a dozen native birds. Visitors can explore the wildlife exhibits on their own and encounter the animals up-close. Each of the 20 exhibits is individually designed to accommodate the particular needs of the animal or animals that live there. The rest of CuriOdyssey's animals are Animal Ambassadors – animals that are featured in our classes, tours and public programs. They put a “face” on the environment and teach our visitors about nature and the complex web of life in ways books and other classroom lessons cannot. Our Animal Ambassadors often travel though the building or gardens with one of our animal keepers. The next time you visit, you may get to meet a domestic ferret or North American kestrel! 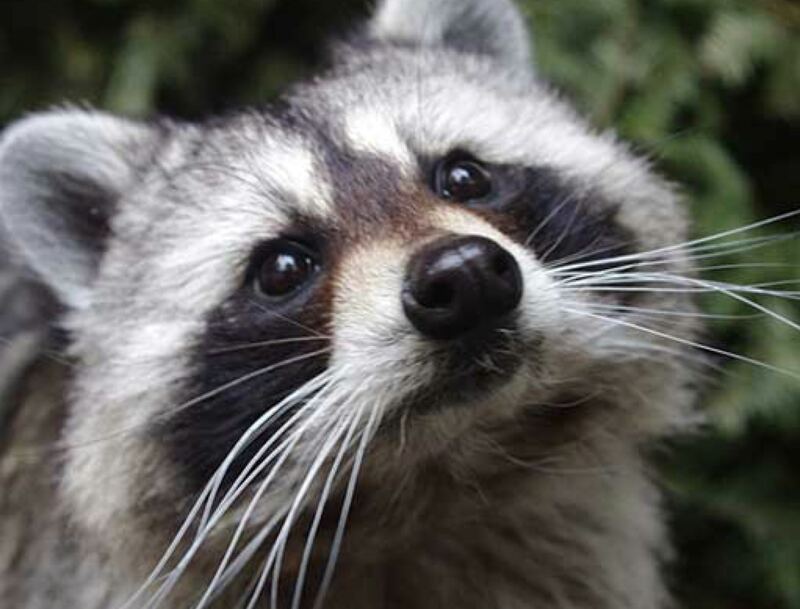 Raccoons don't actually wash their food, instead they use to water to heighten their sense of touch to find aquatic prey. Desert tortoises consume desert herbs, grasses, flowers, cacti, and fruit. At CuriOdyssey, they are served a variety of organic native grasses, weeds, and plants grown in the tortoise garden and cactus. 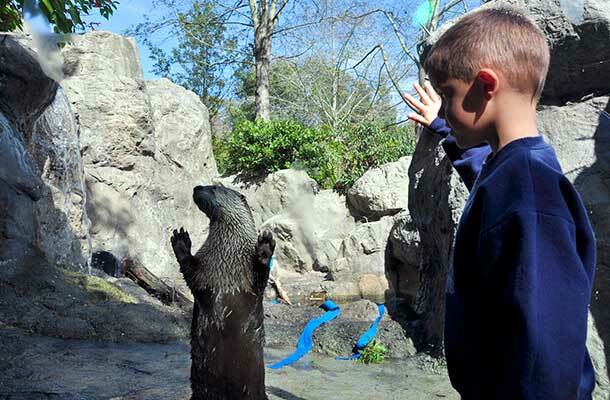 See a river otter swim and play in his habitat. Otter feedings are held daily at noon. Come talk to a keeper about his life story while he splashes and dashes about in the water. Together we are creating a world-class science museum for tomorrow’s innovators. Help us make a difference.